Amber Berntsen was one such parent. As a single mother of three young boys with no childcare options, taking night classes was not a possibility. Then she heard about High School 21+ (HS21+), a South Puget Sound Community College (SPSCC) program offered through Yelm Community Schools that enables students who never finished their degrees to earn full Washington State diplomas, with credit granted for applicable work and life experience such as child-rearing. The key is Y-Care. 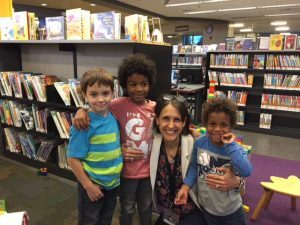 Free, licensed child care provided through the South Sound YMCA to parents who want to attend classes. 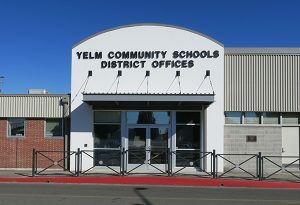 For now, the service is unique to the Yelm program, the result of an ongoing partnership between the school district and the Y. The idea for HS21+ in Yelm originated during a parent night. When envoys of Graduate Yelm, a district-wide program aimed at having every student graduate, visited Lackamas Elementary School they talked to the kids about the importance of having a plan for what to do after they’d finished high school. But the parents were listening, too. “We had people who came forward and said, ‘I haven’t completed my high school diploma. What would be available for me?’” says Lisa Cadero-Smith, assistant superintendent of Yelm Community Schools. Initially, the idea was to create a GED program but the team they contacted at SPSCC had already implemented the HS21+ program in other locations and thought it would be a good fit. “When we were setting this up, our first question was, what are the barriers?” says Cadero-Smith. “One of the biggest was child care.” The district already worked with the Y through a mock trial and Youth in Government program and Cadero-Smith had an existing relationship with Executive Director of Advancement Sarah Clinton and Director of Licensed Childcare Brenda Banning, so she reached out. Yelm Special Education teacher Ann Cross first heard about HS21+ from a former student who hadn’t graduated with her class. “I talked to some people over at the college and thought, ‘This is a great program. I want to be involved,’” she says. When classes started in Yelm, she assisted Fitzgerald during the fall quarter and then took over instruction during the winter. 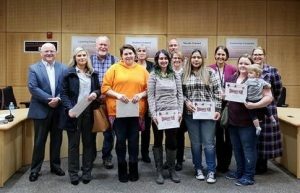 Yelm’s HS21+ program is one of the Y’s many programs supported by contributions by community members who want to ensure all individuals in our community reach their potential. Each year, the South Sound YMCA distributes nearly $1 million in financial aid. This includes offering support to 1 in 3 youth in before and after school child care programs and reduced priced memberships for military families. To support HS21+ and other programs in our community donate to the Y’s Annual Campaign today. Visit the Y online to learn more about how you can become a member, become a volunteer or donate to support community programs.